It has been great to see so many of our new members coming to OCWS events and getting involved in the many activities offered. Please take the opportunity to introduce yourself to our Board of Directors at upcoming events; we would love to meet you! As we embark on our 43rd year of existence, I would like to highlight and thank some of our founding and long-standing members, Judi Brady, Jim Graver, and Charley Owen for their continued support and participation in the Wine Society. We are off to another year of activities and events beginning with the Buttonwood Winery tasting on January 11 at the Avenue of the Arts Hotel in Costa Mesa and our Dine with Wine event at Pescadou Bistro in Newport Beach on January 16. The Commercial Wine Competition Committee, chaired by Leslie Brown, has already begun to plan this year’s Competition which is scheduled for Saturday, June 1 and Sunday, June 2. This year’s Home Wine Competition, chaired by Kevin Donnelly, is scheduled for Saturday, June 15. The Annual Wine Auction will be on Saturday, April 6. The Auction is one of two sources of revenue for the Wine Society, and we hope to see you there. George Cravens is busy working on the Mini-Tasting themes for this year, so stay tuned. There are ongoing events and activities every month, so don’t delay in signing up online for events which are of interest to you. The primary point of contact with our members is through their profile information contained on our website at www.ocws.org. Please take the time to review your information and update your email, phone, and mailing address information by accessing MyAccount>MyProfile after logging in. The Chairs of OCWS events and the office staff rely on the accuracy of this information. 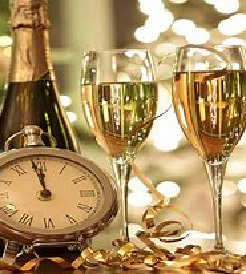 On behalf of the entire OCWS Board of Directors and staff, we wish everyone a Happy New Year! Cheers! Now that the holidays are over, it is time to begin planning for the Commercial Wine Competition. This event requires an enormous amount of volunteer time. There are volunteer opportunities in many areas; some involve more time than others. This article will outline some of those positions to help members decide on their involvement. Are you interested in learning how we processed the 2,708 entries received last year for the 2018 Commercial Wine Competition? Do you have a desire to work with others on this organizational process? Sign up for the cataloging duties or the data entry duties beginning Tuesday, January 8 with the Building 15 cleanup work party. Cataloging will be scheduled days and evenings (if volunteers are available) to more easily fit into your schedules. You will help unload wines, place them on tables, identify them in our database of entries, and assign them each a separate designation based on varietal and number of entry, i.e. Pinot Noir is PN23. This bottle is then labeled and placed in the Pinot Noir box. You will be working with other volunteers experienced in the cataloging procedures and data entry process. If you have an interest in joining the cataloging team, please contact Liz Corbett with your questions and contact information for the 2019 Competition scheduling. Contact Liz at liz@ocws.org or at 714.342.6652. Even though it is only January, please save the dates. The Competition will be held at the Hilton Hotel in Costa Mesa on Saturday, June 1 and Sunday, June 2. As always, it is the vast number of volunteers that make this event successful. Ken and Irene Scott will be filling positions such as computer score/verification, stewarding, kitchen help, glass dryers, and traffic control. In addition, bagging and sorting the wine will run from Tuesday, May 28 through Thursday, May 30. Volunteer signup information will follow in the next few months. One very exciting and much needed addition this year will be new, integrated cash registers/credit card machines. Anyone invited to manage or cashier will be required to be trained on the new machines sometime in February or March in order to be assigned requested shifts. Dates for these sessions will be provided in your invitation. It is of the utmost importance that everyone is properly trained this year. We will also be having, as in the past few years, training sessions for stewards and servers sometime in June and early July and will gladly train anyone else at that time interested in learning the new registers with the intention of possibly cashiering. These dates will be posted at a later time. We look forward to your participation and all the fun and laughter that go along with working The Courtyard during Fair time. Thank you. Many of us know Bruce as a key member of the Winemakers’ Group. But there is much more to know about Bruce. The story starts more than 40 years ago. Bruce and his friend were out for a joy ride on his friend’s motorcycle. They came upon a girl in a Camaro, and to impress her, they popped a wheelie. Bruce fell off the back and she nearly ran him over. After she picked him up off the road, they got to chatting and she drove him home. A year later they were dating . . . she nearly killed him when they first met, now Bruce and Jeanine have been happily married for 39 years! As a boy in Seal Beach, Bruce dreamed about cars and car racing. When he was older, he began working on cars, particularly Porsches, with local car mechanics. In the 1970s, Bruce raced in Sports Car Club of America events as well as Off-Road events. While earning his engineering degree, he became an ASE Certified Master Technician. After graduating into a very tight economy and newly married, Bruce decided to open his own auto service business in Huntington Beach, Autowerkes. Jeanine handled the books. Autowerkes specializes in Porsche, BMW, and Mercedes. Attention to detail in auto repair and providing outstanding customer service have helped him grow his business with customers coming from all over Orange County. Bruce also helps run Autocross events and sponsors a Porsche Boxter in competitions. Always athletic, Bruce has run over 30 marathons. Many family vacations were scheduled around key marathons. Bruce recently ran a 10K with the older of their two daughters – she won, we hear. Bruce’s athletic talents extend into coaching volleyball, as his two daughters played. He developed and published a primer on how to coach students entitled “Blueprint of a Champion” which is still available online. Those who visit Bruce and Jeanine in their lovely Spanish style home are welcomed by a menagerie. There are currently three horses, including Genevieve who is blind, two ducks named Donald and Melania, three dogs, a cat, and most famously, Marcel the Donkey, who has been featured on their wine labels. As a winemaker, Bruce has made several varietals over the years, most notably, Sangiovese (which he has planted at his home in Orange Park Acres), Merlot, Cabernet Sauvignon, Pinot Noir, several Rosé wines, Sauvignon Blanc, Chardonnay, and even champagne. He has received several Double Gold, Gold and Silver awards at the Home Wine Competition. For the past 2 to 3 years, Bruce has also been the chief liaison for the Winemakers’ Group in sourcing grapes and juice from Chris van Alyea and has made several trips, along with Dave Wiegand, to Solterra Winery for pickup and delivery to Orange County. on demonstration of how to press off the juice before fermenting. It is Bruce’s focus on service, assistance, and education that we are celebrating and featuring in this edition of The Wine Press. It is members like Bruce that make the OCWS a very special group of people! If you missed our Holiday Dinner & Dance held on November 30, you missed out on a really great party. There was a record attendance of 111, up from 82 the previous year. Comments from those attending suggest the food was the best ever. The Three 2 Sevens, the OCWS honorary band, played great music to dance to all night long (the dance floor was never empty). And the SAX WAS BACK! Our President and Cellar Master, Bill Redding, pulled some great wines from the wine cellar for all to enjoy. We doubled down on the passed appetizers. Four bags of unwrapped toys were given to the Costa Mesa Fire Department for their “Spark of Love” program to benefit underprivileged children (get the pun? “Spark” of Love – Fire Department?). My thanks to the Atrium Hotel staff who were great to work with, and to my wife Sue for correcting my typos. Below is a sampling of photos taken during the Holiday Dinner & Dance. Please log in to the OCWS website at ocws.org to view nearly 90 photos taken during the event. Nearly 100 members and guests attended the Food-Worthy Reds Mini-Tasting on November 10 at six host sites. Five flights of wine included Pinot Noir, Grenache, Syrah, Meritage Red/Cabernet Sauvignon, and Zinfandel. The overall favorite was also a Double-Gold winner at this year’s Commercial Wine Competition. Second place was a Carol Shelton Zinfandel blend. Third was a Napa Syrah. Fourth was very close to third, and also a Double Gold winner this year – Jeff Runquist Grenache. Syrah 2013 $48.00 Rocca’s 2013 Syrah Grigsby Vineyards is a rich, deep, chewy wine that coats the palate and is very savory. Grenache 2016 $28.00 The aroma of the 2016 wine is loaded with ripe red fruits; raspberry, strawberry, cherry and currant. 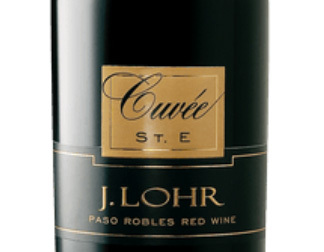 On the palate, savory flavors of raspberry and cherry are delivered by a wine with a silky texture. Congratulations to all the winners! A big thank you to the hosts! The Holiday Season is well under way, and our annual Holiday Dinner & Dance was once again enjoyed by our members to kick off the Season. 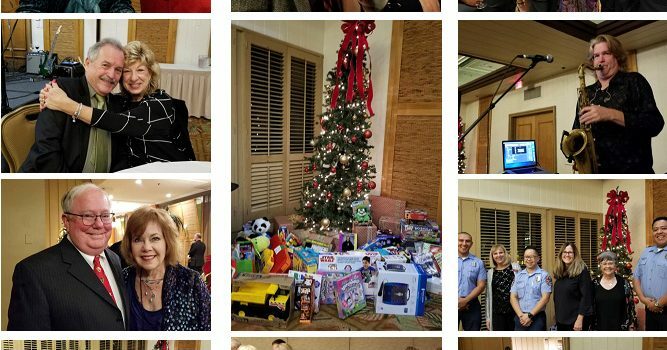 Our members showed off their dance steps to the music of the “Three 2 Sevens” and generously donated gifts to the Costa Mesa Fire Department’s “Spark of Love” children’s gift drive. Many thanks to Brian and Sue McDonald for their outstanding efforts in arranging the event. As a reminder, the Winemakers’ Group Holiday Party is just around the corner. 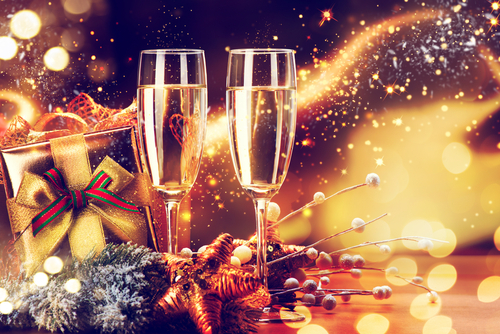 The Holiday Season is the perfect time to spend time with family and friends and enjoy wonderful food and, of course, wine! Need a special wine to celebrate or for a gift? The OCWS website has a great tool to search for award-winning wines from the OCFEC Commercial Wine Competition hosted by the OCWS. Log into ocws.org or WineCompetition.com to find that perfect wine. The Director Responsibility list has been assigned, and you can find this information on the OCWS website under About >Our Organization and in this month’s Newsletter. Please contact the appropriate Director should you have any questions. The OCWS will once again have a busy schedule of events in 2019. I encourage you to fill in the upcoming events on your personal 2019 calendars so you don’t miss out on the events of interest to you. The Save the Date column in each Newsletter provides the dates of all upcoming events. On behalf of the Board of Directors, we wish you a happy Holiday Season and a healthy New Year. Please remember to drink responsibly and consider using a designated driver or ride service. Cheers!